Circa 1937-1944. 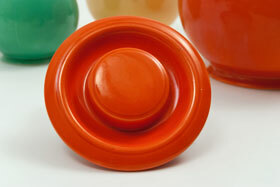 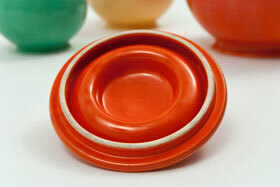 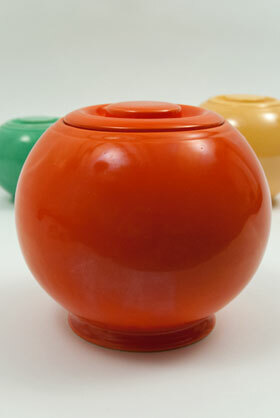 Here's a hard to find Fiesta Kitchen Kraft covered jar in original red. 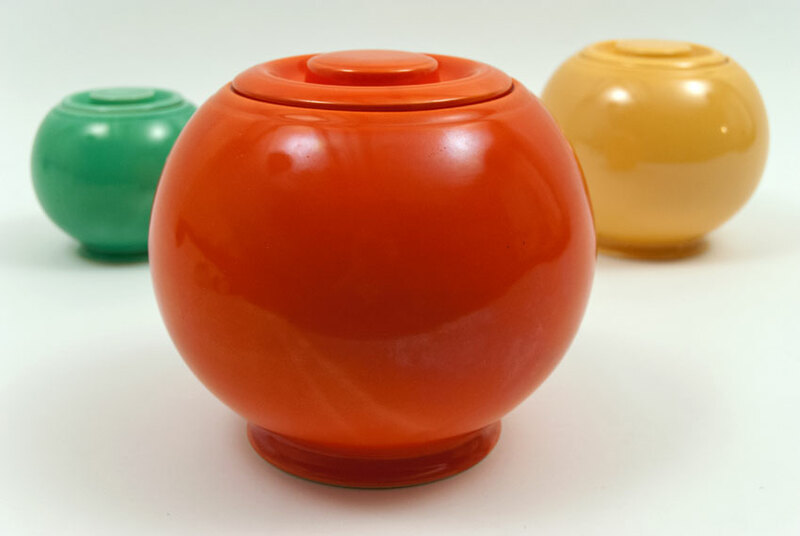 Sometimes reffered to as the "ball jug" or "cookie jar", the KK covered jar is a real treat for the collector looking for hard to find items. 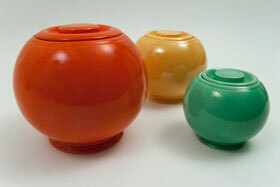 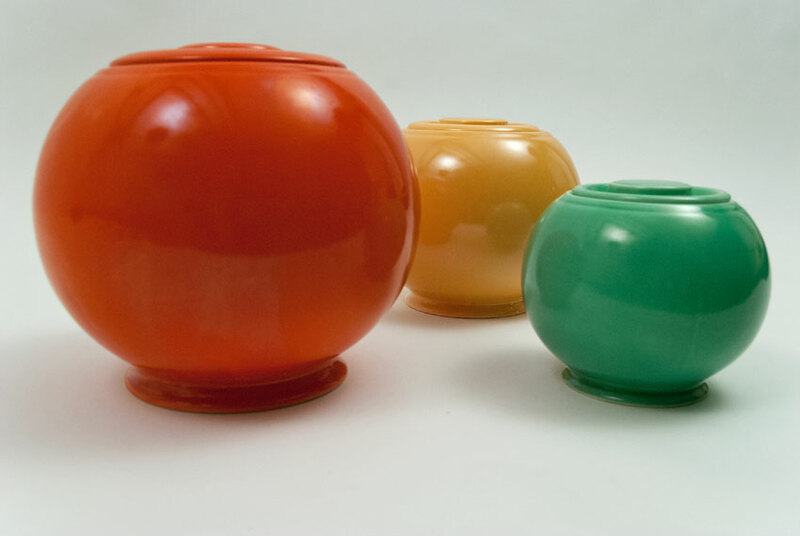 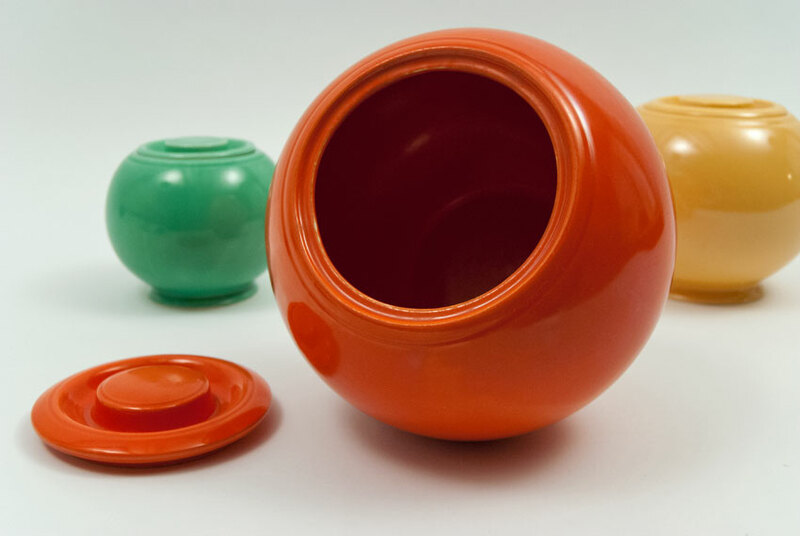 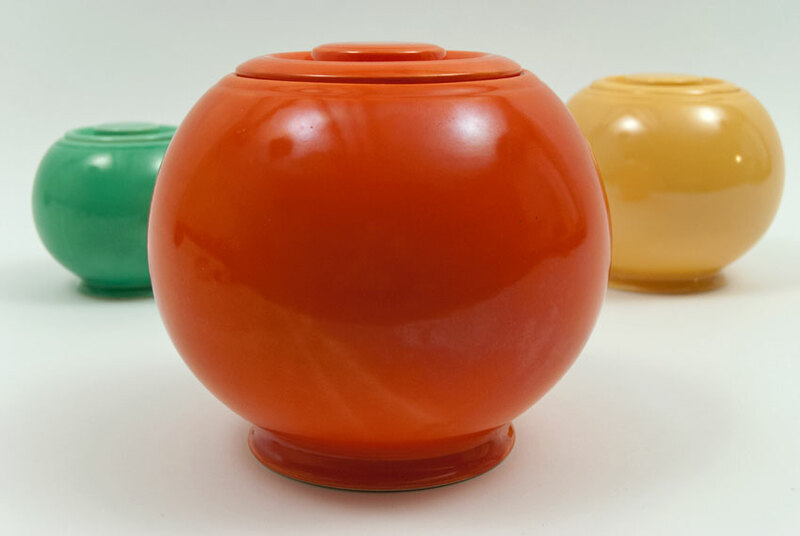 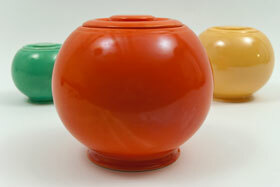 Slip cast jars with lids that were jiggered, marked in the mold on the bottom "HLC fiesta KITCHEN KRAFT U.S.A". 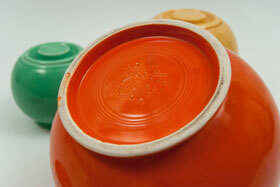 This example in red is in excellent condition without damage. 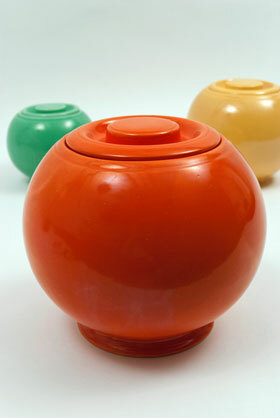 The largest of the three ball jars, the Kitchen Kraft cookie jar has become a hard to find and highly sought after piece. This example is guaranteed to please.